Students of four schools in Leyte will never worry again about missing their classes or worse, losing their classrooms to devastating typhoons. The Lopez Group through funds donated to the Sagip Kapamilya Program of ABS-CBN Lingkod Kapamilya Foundation, Inc. completed the construction of four new buildings with 14 typhoon-resilient classrooms in New Ormoc City National High School in Ormoc City, Matlang Elementary School in Isabel, and San Joaquin National High School in Palo. The group also finished the repair of 5 buildings with 10 classrooms in Milagro Elementary School in Ormoc City. Nearly 7,000 students will benefit from these new classrooms. The new buildings and classrooms are sturdier and can withstand wind velocity of 250 kilometers per hour which is the standard of the Department of Public Works and Highways (DPWH) for typhoon-resilient structures. The classrooms’ roofing is reinforced using a new method of connecting the galvanized iron sheet to the trestle. The walls are thicker, almost double the old classrooms. Instead of gutters where ripping off of the roof starts, inclined floors with drain canals were constructed. The classrooms have higher ceiling and wider windows for better ventilation, and furnished with electric fans and toilet facilities. Lopez geothermal firm Energy Development Corporation (EDC), which operates the Leyte geothermal power plants, supervised construction activities for the classrooms. “Our philosophy is not to build back to the original but to build better. We believe that all rebuilding efforts after the massive devastation by Typhoon Yolanda should truly be future proof. That is why all the schools we are building in partnership with ABS-CBN Lingkod Kapamilya have been designed to withstand another Yolanda,” EDC President and Chief Operating Officer Richard Tantoco said during the inauguration of the four schools. Tantoco also acknowledged the help of Sy^2 for the structural integrity of the building and W.V. Coscolluela for the building design. The two firms offered their services for free. Each new classroom costs about P1.2 million while P6.7 million was spent for the repair of the Milagro classrooms. “The Lopez Group is happy to turn over these new buildings and classrooms to our kapamilyas in Leyte. With the help of our fellow kapamilyasfrom here and abroad through The Filipino Channel (TFC), the classrooms that they will now use are not only built to last but conducive to learning as well. 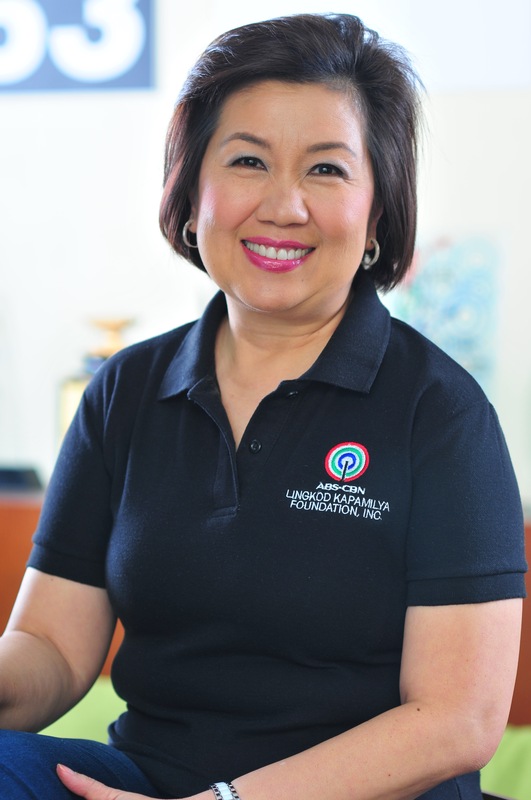 Patuloy ang kuwento ng pagbangon,” ABS-CBN Lingkod Kapamilya Foundation Project Director Jun Dungo said. The faculty and students of the four schools expressed their gratitude to EDC and ABS-CBN Lingkod Kapamilya Foundation. Students of NOCNHS even prepared colourful thank you cards which they themselves handed to the guests from the two Lopez companies. During an inspection conducted in July, Undersecretary Danilo Antonio of the Office of the Presidential Assistant for Rehabilitation and Recovery (OPARR) lauded the efforts of the Lopez Group in building sturdier and typhoon-resilient classrooms. “OPARR is truly proud to be the partner of the Lopez Group to build back better, safer and faster,” Assistant Secretary Irwin Baylon said during the turn over. During the turnover ceremony, Cedie Vargas and Angela Lopez of the Lopez Group Foundation also handed over to the NOCNHS several books donated by former Chilean Ambassador to the Philippines Roberto Mayorga. Aside from constructing classrooms, the Lopez Group is also training and empowering young Leyteños to help in rebuilding the province. A total of 91 trainees of the Kananga EDC Institute of Technology (KEITECH), a joint project of EDC, the Municipality of Kananga and TESDA, have completed and passed the institution's short course construction training last July 18. The trainees have earned National Certifications on the following courses: carpentry, plumbing and electrical installation and maintenance. Most of the trainees are already employed by the contractors for the school construction projects.